Portfolio / Clive Christian Dressing Room in Great Western Road, Glasgow. Clive Christian Dressing Room in Great Western Road, Glasgow. 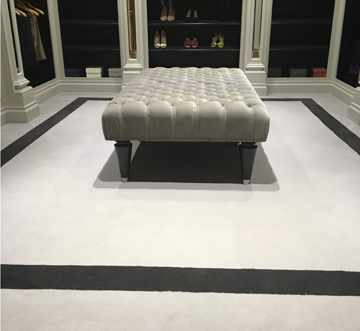 Westex, bespoke velvet carpet – hand cut to create the border effect. We have now carried out numerous installs alongside Clive Christian Interior Designers https://www.clivechristianinteriors.com/ and will continue to do so.